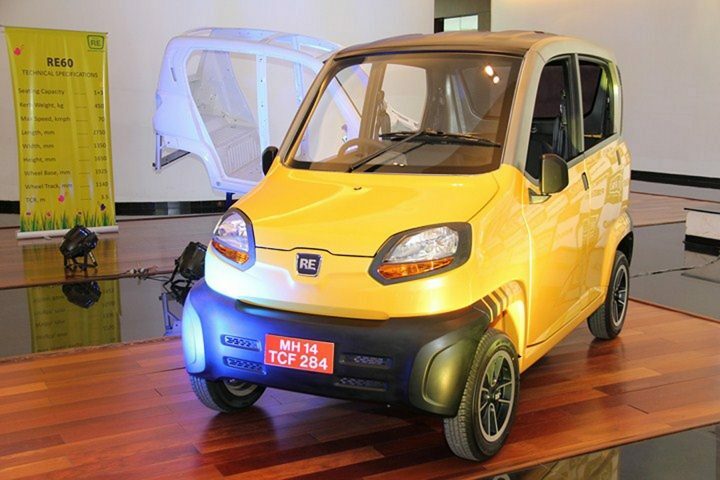 According to recent reports Mahindra & Mahindra is currently developing a quadricycle for the Indian market to rival the Bajaj’s soon to be launched RE60 (pictured). The vehicle, codenamed C101, will have the commercial vehicles sector as it’s primary target as experts predict that quadricycles will be the next big thing in the commercial vehicle space in India. A quadricycle is basically a small four-wheeled vehicle with a kerb weight less than 400kg and powered by a motor producing less than 15kW. These vehicles have a huge potential in the commercial vehicles space for intra-city transport as top speed will be restricted to 70kmph making highway use difficult and could potentially replace autorickshaws in the future which presently have annual average sales of approximately 4,00,000 units. The Mahindra Quadricycle will be built on a brand new platform in which the company has invested around Rs 100- 150 crores with a planned launch some time in 2017. The company has also imported a quadricycle from Europe for benchmarking purposes. The initial planned porduction is 15,000 units annually from the Zaheerbad plant which will later be increased to around 60,000 units a year. The Mahindra Quadricycle is expected to derive power form 200-300 cc single and two cylinder engines. Currently the only production ready quadricycle in India is Bajaj’s RE60 which was showcased at the 2012 Auto Expo for the first time. The launch was scheduled for earlier this month but has been blocked due to several PILs filed in court against it. The hearing is scheduled for November following which a decision regarding its launch will be taken. In the meantime Bajaj has already sent units of the RE60 to ARAI for testing and homologation purposes. The company, no doubt, will be looking to launch the RE60 as soon as possible to take advantage of being the sole manufacturer in the quadricycle segment before the launch of the Mahindra Quadricycle which at least a couple of years away.